For one week in May 2014, VOX magazine editor Ruth Garvey-Williams is travelling around Ireland to hunt down stories of faith, life and reality. Each day, she will share her journey and introduce the people she meets along the way. My first stop is the Lucan Centre on Primrose Hill in the village of Lucan just outside Dublin. Owned by the Presbyterian Church, it was used as a youth centre for many years and won awards for reconciliation work with northern Irish young people. 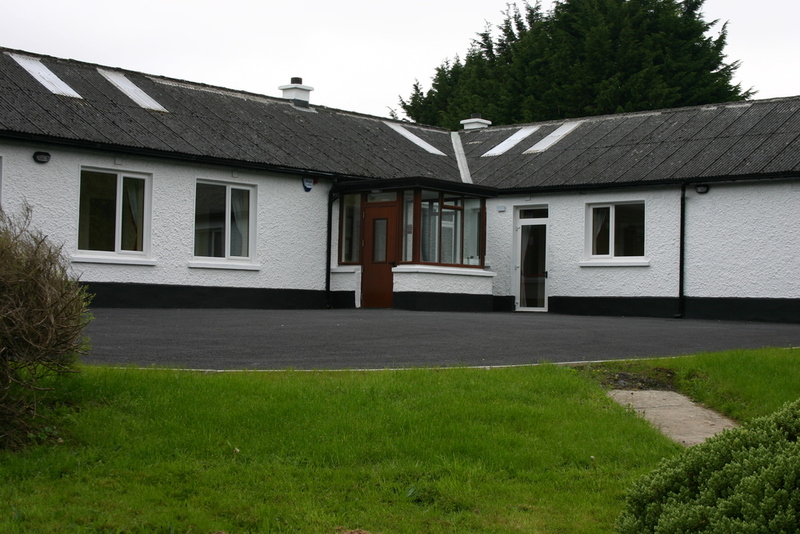 More recently, it has been refurbished as a retreat centre. Norman McCorkell is the new manager. He shows me around and shares the vision that this will be a place where people find peace with God. The centre focuses on three “Rs”: as a resource to those engaged in God’s mission, as a place of retreat (for rest and restoration), and as a place of reconciliation. I am struck by one small room with stained glass windows. Norman tells me this is “Tommy’s Room”. Tommy Gilliam from Maynooth tragically lost his life about four years ago in an accident at his new college. Because Tommy had been transformed through the ministry of the Lucan Centre his parents, Tom and Vicky, wanted there to be something in the centre to acknowledge his memory but would also encourage and point people to the Father. Tommy's room is now a place of stillness and reflection with the specially created stained glass representing darkness into light (the hope that thorugh the darkness and pain of Tommy’s death would come light and flourishing). From the Lucan Centre, I head south (a quick detour) to Spirit Radio’s HQ in Bray, Co Wicklow. It is worth the drive to catch up with friends at the radio station and to chat live on air with Ronan Johnston without the challenges of mobile phone connection. I drive north again to Drogheda where I meet Dr Jubil Thomas and his wife Neeta. Dr Jubil is a consultant who specialises in anaesthesia and intensive care (he describes it as “two for the price of one”). After moving to Ireland in 2005, Dr Jubil began volunteering regularly with the YWAM Mercy ships alongside his employment in hospitals in Louth and Meath. He has made four trips to Benin, Sierra Leonne, Guinea and the Congo. The ships offer medical treatments and surgeries in countries where people have little or no access to medical care. Even the smallest surgery can be life changing. For Dr Jubil, the trips have opened his eyes to God’s miraculous power and the team has seen answers to prayer when medical solutions run out. “I was involved with a team to look after children born with cleft palates. They are often abandoned by their parents who think they are cursed. With poor facilities, every surgery is a big risk. Then one 45 year old man came asking us to correct his cleft palate, even though we were there to concentrate on the children. “Everything went well until towards the end of the surgery he had a cardiac arrest on the table. I have never lost a patient on the operating table before and we were all very upset. We only had two ampules of adrenaline and CPR wasn’t working. He was flat lined and after many minutes we called time of death. The man was still very ill with low blood pressure and it was clear that he would not survive long. The team shared with him about Jesus and prayed with him. He had a chance to see his family again and say goodbye and the following day he died (for the second time!). This is just one of the incidents Dr Jubil has seen and he is overjoyed that through medicine, through surgery and through prayer, lives are being transformed! With an hour to spare before my next stop, I take a quick detour to Monasterboice. Despite bus-loads of tourists, there was still a sense of peace as I wander around the ruins of an ancient Christian settlement. I continue north to Dundalk where I experience an unexpected kindness. My laptop battery has died complete with the address of my next appointment. But a woman offers to let me plug in my laptop in her home, so I can find the address! Thankfully, it is only a quick drive around the corner where I meet Paul and Donna Drury, from GF (Grace Fellowship) church in Dundalk. Paul is one of the ministers at the church and they have two young children. In 2012, Paul was diagnosed with a cancerous tumor which required major treatment. "For me as a minister and especially as someone who believes God has a good plan for my life, it was challenging," Paul shares. "But we made up our mind that we were going to trust God right from the start. What kept me through everything was knowing that God is my answer, not my problem. "We decided we were going to praise him every day. Sometimes we had to do that in tears. I had an image in my head of Jesus with open arms and I saw myself running and jumping in those arms - that is where we found strength." Two major surgeries and six months of chemotherapy took their toll. Paul was extremely ill with the chemo. But the couple was overwhelmed with the love and support from people at church who encouraged them with messages, practical support and care throughout the long ordeal. From Dundalk, I head north across the border to Rostrevor in County Down where I’m to spend the night in the Benedictine Monastery. It is a precious gift of peace and stillness after the busy-ness of the journey and I’m moved by the evening worship (singing psalms!). Read Day Seven of the Finding Faith blog.